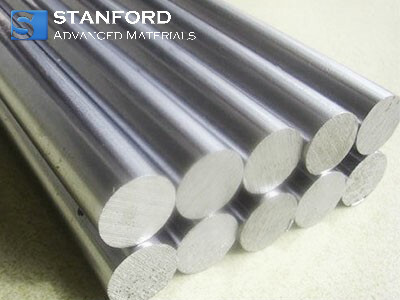 A wide range of chromium metal bars or rods can be provided with competitive price by Stanford Advanced Materials (SAM). Chromium is a kind of lightweight metal with blue-silvery white color. It is lustrous, hard, and brittle with high corrosion resistance and high melting point. Chromium is remarkable for its magnetic properties: it is the only elemental solid which shows antiferromagnetic ordering at room temperature (and below). With high corrosion resistance, chromium metal is widely used as all kinds of protective coating. With high resistance to hot gases, it is used as components in high-temperature fuel cells. Besides, in combustion equipment, chromium is used as a wear-resistant coating to increase the service life of specific components. Chromium metal is also used as a brilliant decorative coating for operating elements on appliances or for jewelry. Our Chromium metal products are clearly tagged and labeled externally to ensure efficient identification and quality control. Great care is taken to avoid any damage which might be caused during storage or transportation.